Sriz Beauty Blog: Fuschia Ageless Serum With Rose Water & Dead Sea Minerals Review!!! 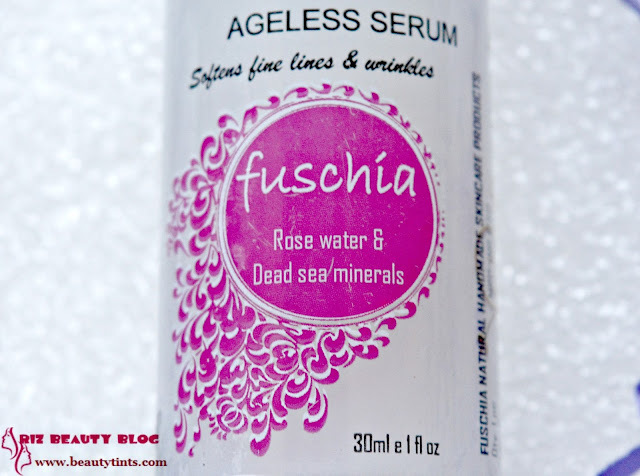 Fuschia Ageless Serum With Rose Water & Dead Sea Minerals Review!!! 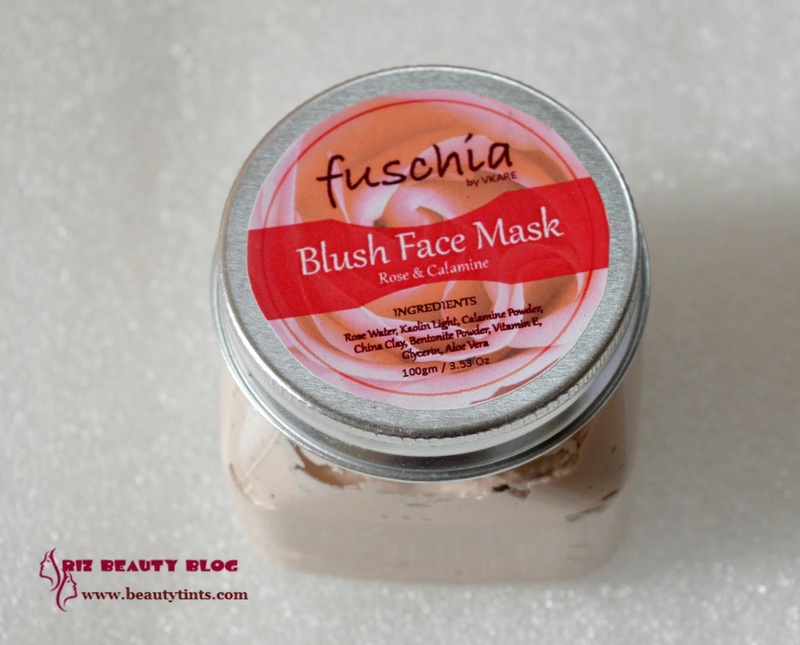 Fuschia is one of my all time favorite brands and recently they have launched a whole lot of new products and I have reviewed their Blush Face pack and today I am reviewing one more product from their newly launched range,which is their Fuschia Ageless Serum With Rose Water & Dead Sea Minerals. 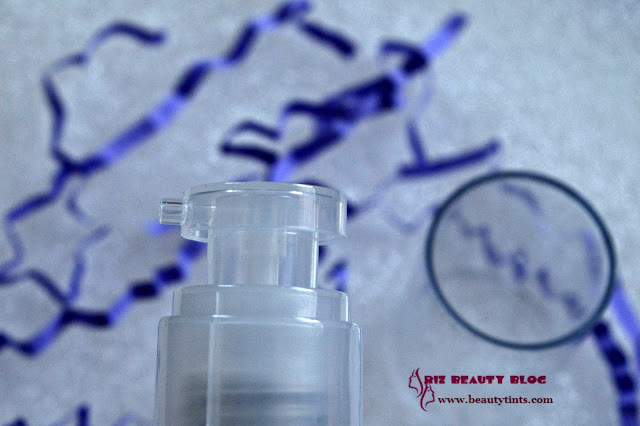 Packaging : It comes in an attractive travel friendly transparent bottle packaging with a pump dispenser. 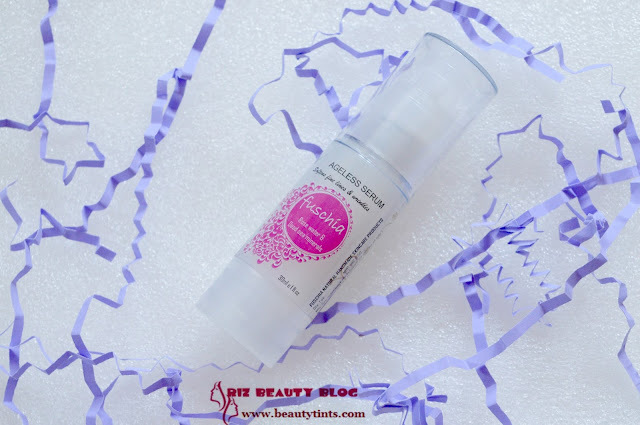 Color and Texture : This is a translucent light weight serum. 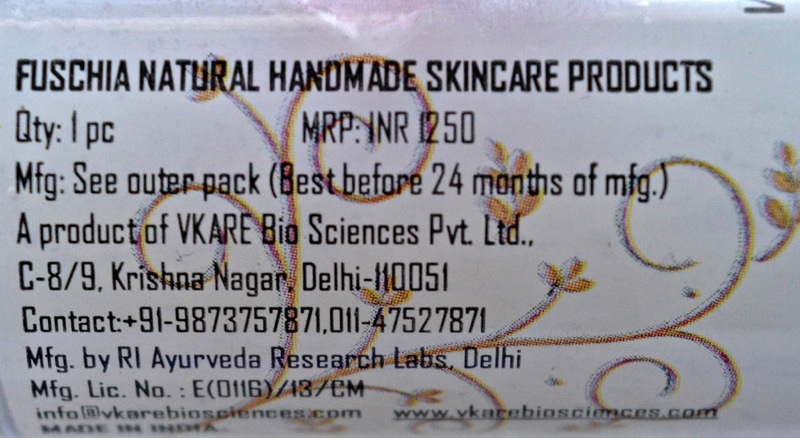 What the product Claims : Rose water decreases damage to the skin fibres and delays fine lines of ageing. 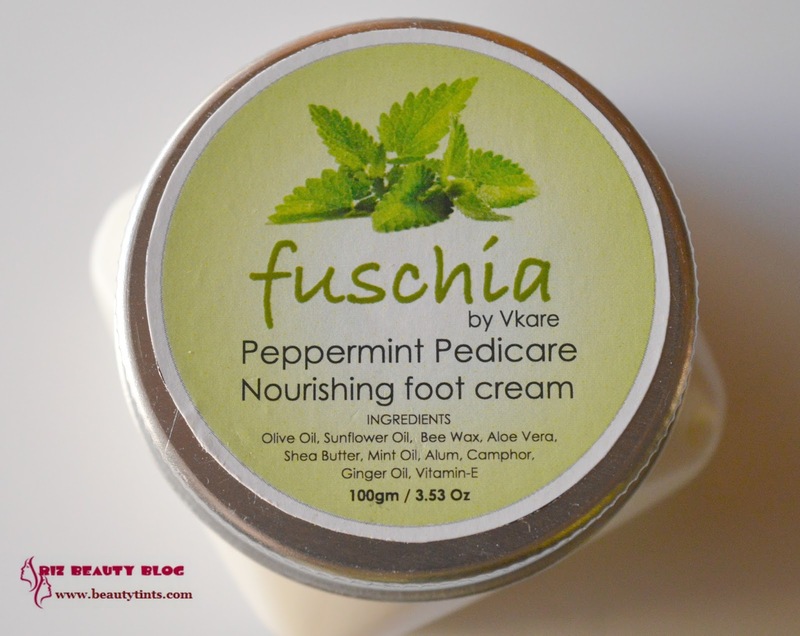 It also soothes skin and evens out skin tone. Dead sea minerals rich in calcium, magnesium, zinc and various other elements that stimulate regeneration of skin cells, increase collagen & elastin synthesis and thus reduce wrinkling process. Thermus thermophilus extract fights free radical damage to the skin and prevents wrinkles & dark spots. Vitamin E is a powerful anti-oxidant that prevents premature ageing. Aloe vera, rich in both vitamin C & E, firms, hydrates & moisturizes the skin. Olive oil glycereth -8 ester, is a water soluble derivative of olive oil that heals and soothes the skin. Hydrolysed pea protein is rich in amino acids that increase skin elasticity and firmness. 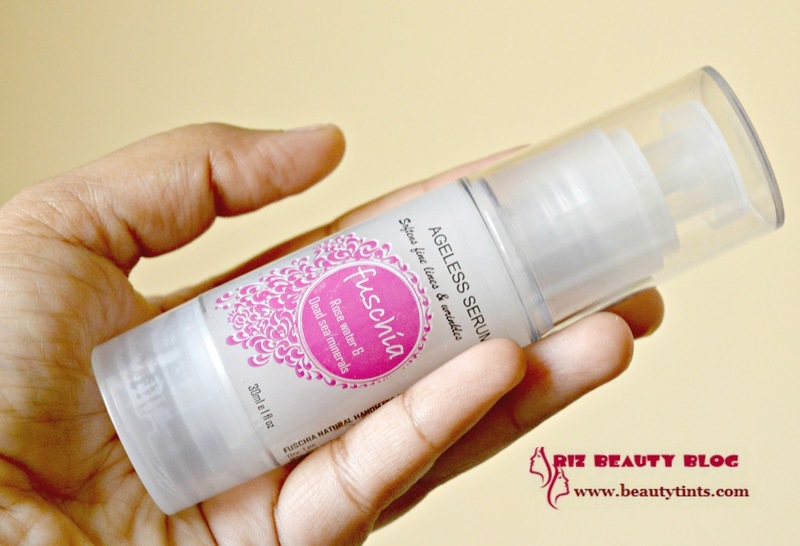 My View On the Product : I am in my late twenties and I have started using anti-ageing products from past 6-7 months and this serum is a new addition to my skin care regime from past 3-4 weeks.This Fuschia Ageless Serum With Rose Water & Dead Sea Minerals comes in a sturdy travel friendly,transparent bottle with a pump dispenser and a cap.The pump is a bit hard and I need to press it little hard to get the product out,I am not sure whether all bottles are like this or I received a defective bottle,so cannot say it as a con.The serum is pale white in color and has a light consistency.It has a natural herbal kind of fragrance,which is not that pleasing.It gets absorbed easily and completely into the skin with light massaging.It feels feather light on the skin without being heavy or oily yet super hydrating and nourishing.It makes skin smooth and supple with in few days of usage. As of now I don't have visible fine lines or wrinkles yet,so I cannot say much about its effect on reducing them but definitely it adds a good dose of moisture to the skin,which in turns helps in preventing the dryness,fine less and wrinkles.It is made of pure natural ingredients like Rose water,Dead Sea minerals,Vitamin E,Glycerin,Aloevera etc.,It is priced reasonably when compared to the quantity it comes and just one pump is more than enough for entire face and neck.So,easily one bottle lasts really longer. 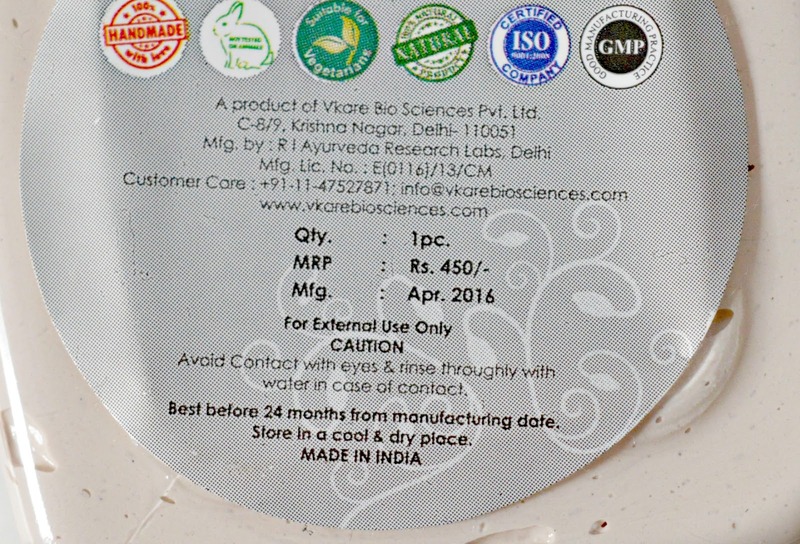 It is free from harmful parabens and other chemicals.It is available easily from most online stores. 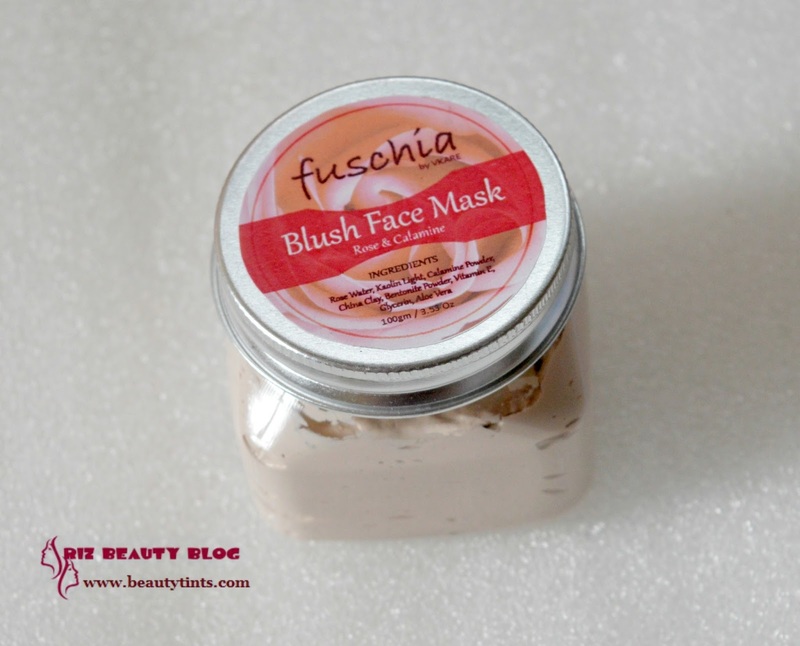 Contains the goodness of Rose water,Dead Sea Minerals,Vitamin E,Glycerin,Aloevera. 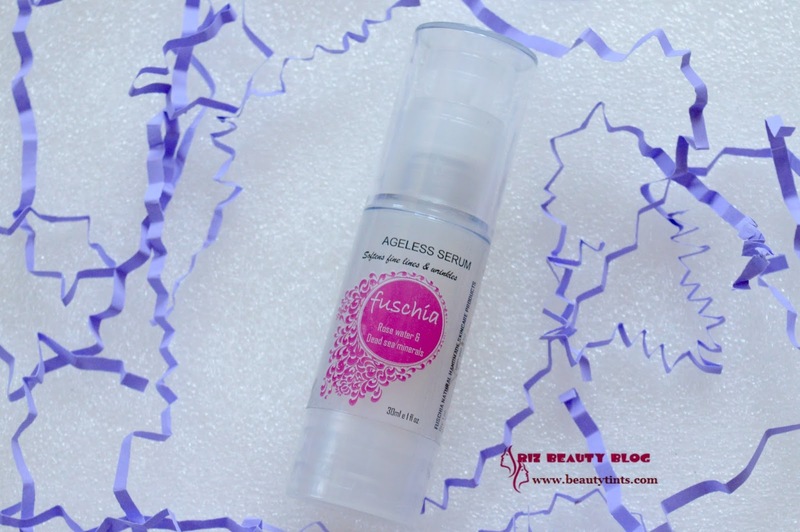 Final Conclusion about Fuschia Ageless Serum With Rose Water & Dead Sea Minerals: Those who are in late twenties like me and those who want to start using the anti ageing products should definitely try this serum for a youthful glowing skin!